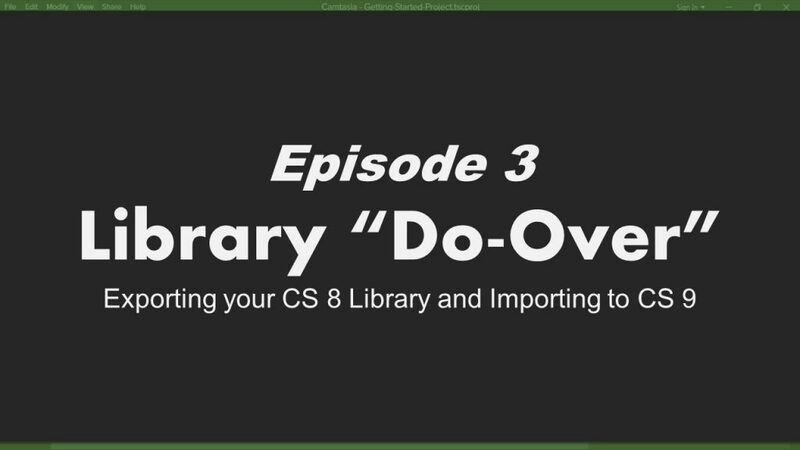 When you first install and open Camtasia 9, you will immediately notice some big changes in your Library…In fact, it’s completely new! And while that, in and of itself, is kinda awesome…right? Well, after installing Camtasia 9, you’ll notice that… those are nowhere to be found. Leave your questions & comments! If there are enough of us making the jump from Cam 7 to Cam 9, could you note the instances when your ver 8 to 9 tip does not apply – or varies? Thanks.